Looking for a killer roast beef recipe you can make in the Instant Pot? You’ve come to the right place. 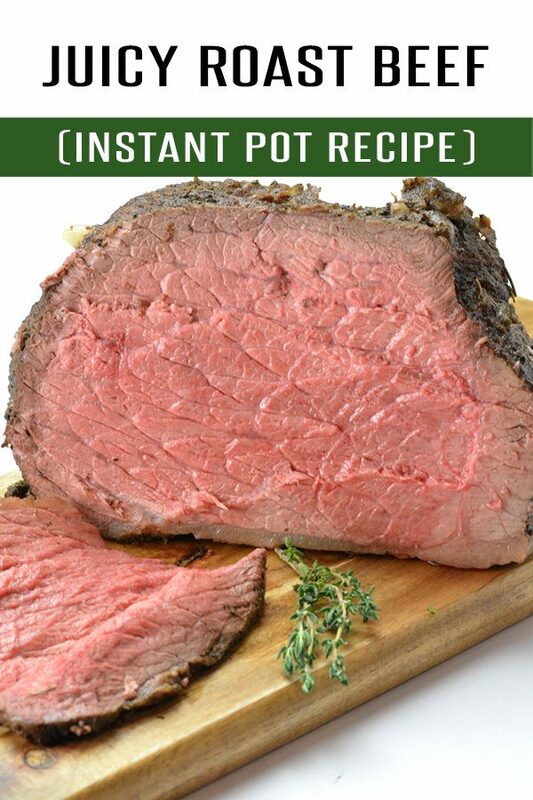 Utilizing our popular How to Cook the Perfect Roast Beef in The Oven Recipe we came up with a succulent version you can make in the Instant Pot. We have extremely high expectations when it comes to roast beef recipes. We weren’t sure if the end product would even warrant the use of the Instant Pot as most steaks, etc. are best when roasted in the oven or grilled. 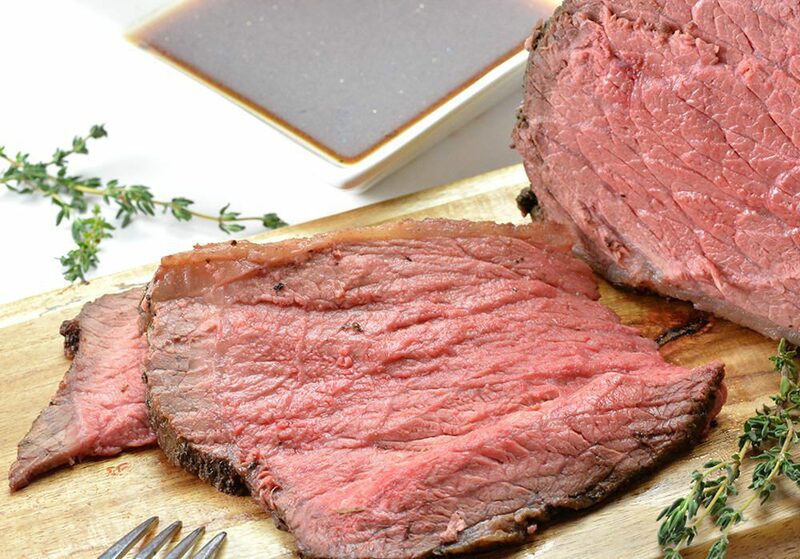 This Roast Beef Recipe defies what we thought possible….you can have a succulent, juicy roast beef utilizing the Instant Pot. Come Thanksgiving and Christmas, this is the Roast Beef recipe we’ll be using. It keeps our oven free for our favorite side dishes like these Rosemary and Garlic Dinner Rolls. What makes this meat tender is the low and slow cooking method. This is what breaks down the collagen and makes it succulent and juicy. Sure you can increase the pressure cooking time to speed up the overall cooking time, however the end results would drastically suffer. Just say no to tough meat. And if you’re wondering….these white CorningWare Casserole dishes work beautifully inside the Instant Pot. It’s what I used for this recipe and most others. We utilized Boneless Round Roasts for our testing, however Rump Roast should also work well. Since this recipe uses the “warm” setting, it’s easy to pop the top off and stick a thermometer in the meat to gauge temperature (this is the one we love). Not cooked to your liking? Plug the top back on and continue to cook. Anticipate a 2.5 hour cook time to get a 3 lb roast to rare (130 degrees) and approx. 3.5 hours for well done (160 degrees). Least we forget…..We have the PERFECT recipe for your left over roast beef: Open Faced Roast Beef Sandwiches. 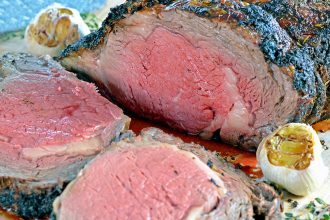 Succulent and juicy Roast Beef Recipe made in the Instant Pot. 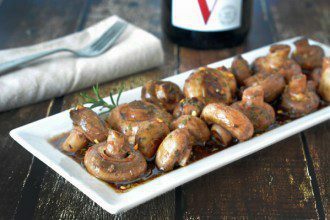 Loaded with flavor, spices and garlic! This is one holiday recipe you want to serve this year. Add the beef stock to the bottom of the Instant Pot followed by the metal insert that comes with the Instant Pot. Mix together the thyme, basil, rosemary, garlic powder, salt and pepper in a small bowl and set aside. Make small slits around the roast, about ½" deep. Insert a piece of sliced garlic into each slit. Cover the roast with olive oil until well coasted and sprinkle the seasoning mixture over the top. Using your hands, rub the seasoning mixture in until the roast is evenly coated. Place the roast beef in an Instant Pot friendly dish and set inside the Instant Pot. The roast should not be touching the beef stock mix. 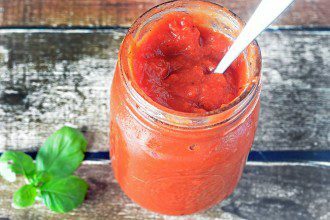 Place the top on the Instant Pot and set it to "High Pressure" for 3 minutes. After pressure cooking for 3 minutes, manually switch the setting to "warm". After 2.5 hours check the temperature of the meat with a meat thermometer. Continue to cook on "warm" until your desired temperature (2.5 for rare and up to 3.5 for well done). 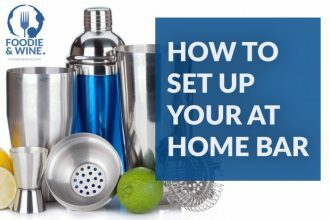 Once it's to your desired temperature, remove from the Instant Pot and transfer to a cutting board. Slice against the grain and enjoy immediately. I bought the Instant Pot this morning and cooked a roast that I had marinated overnight acccording to these cooking directions. It was the best roast beef I’ve ever cooked. Delicious. Did this today. I did brown the toast after placing the spices on it. Also placed it directly on the rack but it wasn’t touching the broth. After the two hours I pressure cooked it for another 2 mins, kept warm for 15, and then removed it and tented with foil for another 15. That was the longest 15 mins of my life!!!! However I will say, AMAZING!!!! My warm function has high, medium and low. I assume I should use high? I have a Sirloin Tip Roast and this method sounds interesting. Has anyone tried adding onions, potatoes & carrots around the roast. Do they fully cook? 2. I substituted a cup of stout beer with a teaspoon of beef boullion for the liquid below the trivet. It made the most amazing gravy afterward! This deserves 5 stars! I wanted deli style roast beef and this exceeded my expectations! Had it for supper last night and served it with au jus. I wanted to slice it thinly for sandwiches today and it was very tender and easy to bite. I used bottom round roast. The rump last time was tougher. Thanks!! Hi – making this now for the second time. I was amazed at how this technique works! FYI, I just put the meat directly on the trivet. Hello there, really looking forward to attempting this today. My only concern is, I have never pressured cooked before and my roast is 6lbs for my new 8 quart cooker. Could someone kindly suggest the recipe portion and time change in cooking to reflect the size of my roast? Also, is it okay to open up the lid halfway to insert carrots, onions, mushrooms and potatoes to the roast or would you recommend something else? I am appreciative of any advice one is willing to share, as I really want to nail my first attempt at pressure cooking. Hi Diane – I haven’t cooked anything larger than a 3 lb roast so I don’t have exact time measurements. If I had a 6lb to roast I’d increase the initial cook time to 5 minutes and then check the internal temp after 30 minutes to gauge where the temp was. If it’s not where you want it to be re-set it on high pressure for 2 minutes and then wait another 15 minutes before checking the temp. A bit more tedius since it’s twice the size of the roast I test. I wish I had more of a firm answer for you – but without trying it myself I can’t give firm instructions. Thank you for the recipe! It works! I had a large roast (8lb) and I was nervous about doubling the time. In the end I did 7 m high pressure and it was perfectly rare at 5.5 hrs keep warm. I ended up warming for another hour due to guest arrival and it was still rare on the inside but not as perfect as at 5.5hrs. I see the link for the casserole dish that will go in the instant pot. What size did you use? You only high pressure cook it for 3 minutes. After which you turn the machine off and back on to select the “warm” feature for 2.5 hours. Made for Mother’s Day with eye of round roast; doubled the broth for more gravy later and added onion (half in the broth, half on top the roast), celery, mushrooms, baby carrots, parsley, & minced garlic (all rough chop) for flavor infusion. Only seasoned roast with salt, pepper, onion powder, & garlic powder. @ 3.5 hours of warm roast was still a bit rare for my taste. Ran HP another 5 minutes with 30 minutes natural release and it was PERFECT! Relieved because eye of round roast is so easy to dry out with the low fat content. I came across your recipe by pure chance and what a fantastic find it is! I had a 2½ lbs round roast and I followed your advice for a rare roast … and it cooked just as shown on your picture! I did not have any beef stock and replaced it with a mix of red wine and water, with a bay leaf and a couple of crushed garlic cloves thrown in. Once the roast was cooked, I added the juices to the leftover stock substitute, reduced it, salted and peppered it, then added some flour and butter to thicken to served it as a gravy. Thank you so much for sharing! I’m confused on why you put beef broth in the bottom if you are cooking in a casserole bowl. Wouldn’t you just use water? Or does the dish overflow and create gravy juice at bottom of pot? Hi! The broth will help infuse a bit of flavor in the beef when it cooks. Water would work just fine however. I just wanted to thank you for the instant pot roast recipe! I have to admit, I was a little nervous. Was the roast really going to cook through on the keep warm function after only 3 minutes of pressure?!? It turned out awesome and tasted just like I’d roasted it in the oven. This one is a keeper! How did your Instant Pot Thanksgiving roast beef turn out? My husband is avoiding carbs, so I’m trying to find good ways to prepare affordable beef that make it special. 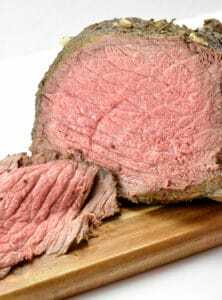 I am going to use this Instant Pot Roast beef recipe for my Thanksgiving dinner tomorrow.